Your horse is lame. Very lame. It's time to call the vet. You’ve been watching your horse closely. At first you weren’t sure; maybe he was just stiff. But this morning you know something more than that is wrong. You had to pull him out of his stall. He didn’t want to turn around to be clipped into the cross-ties. He’s shifting his weight. When he does walk, he looks like he’s leaning back on his heels. When the other horses buck and play in the pasture, he’s standing by the gate. You touch his feet and they’re warm. You can feel a strong, bounding pulse at the back of his pastern. He won’t let you pick up a foot. This is it. You’re calling the vet. You describe the symptoms and yes! this is a medical emergency. The vet will be there today. Your vet will likely confirm your fears: your horse has laminitis. But what will s/he do, exactly--and why? 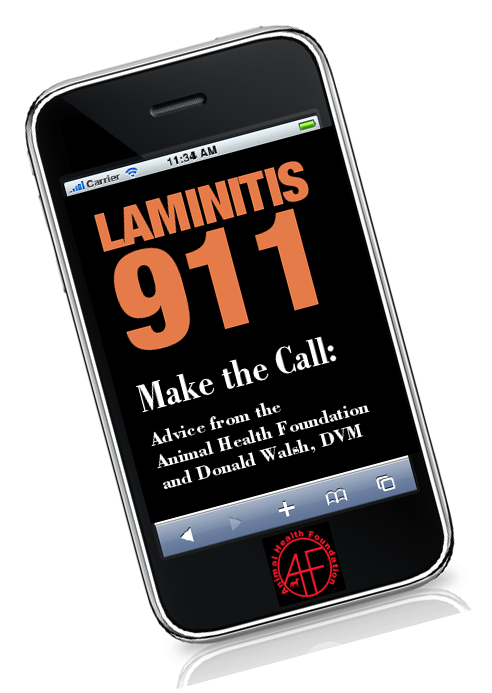 The emergency call for laminitis symptoms is indeed the equine equivalent of a 911 call. Your vet may be squeezing you into an already busy day, so it could be a short appointment, to be continued the following day, or even an appointment with someone who is not your regular veterinarian. 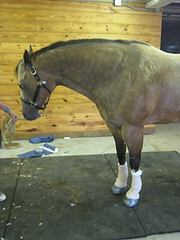 While you are waiting, get the horse to a well-lit place where the vet can exam him and where he is comfortable. A deeply bedded stall may help, or Soft Ride boots, if you own some. Try to get your horse to relax. If bringing him into a stall upsets him, bring in another horse from an adjacent stall or put another horse on cross-ties where your horse can see him. If your horse is excitable, keep barn activity to a minimum. Your vet may instruct you not to feed the horse or allow him to have hay or to graze. This is because blood hormone tests will be done. Hormone tests give the most reliable results if the horse has had no hay, grass or grain for three to four hours. The vet may instruct you to put ice on the horse’s feet and lower legs. Follow all instructions carefully. Do not give any medications unless you are instructed to do so by your vet. If you still have some time, get a camera or use your phone and take several photos of your horse from different angles. Take some close up photos of his hooves. Date-stamp the photos if you can. This might also be a good time to call your farrier. Explain that you are waiting for the veterinarian, but that you may need his or her help to remove/replace shoes or do some work on the hooves. You may wish to book a first-available appointment. you wait for the vet. 1. 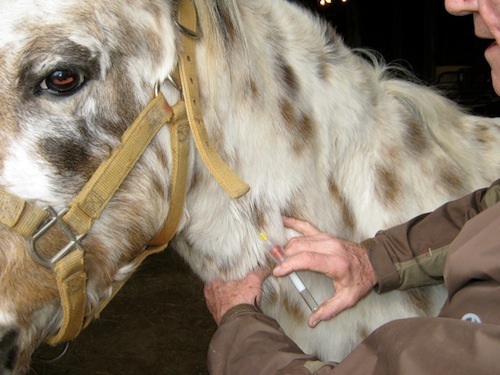 A quick veterinary exam of the horse will check vital signs and look for any symptoms of other diseases. If you are not a client of the veterinarian’s practice, you might want to have medical records, old radiographs, and photos ready to show if they’re needed. • how old is the horse? what medications is he on? • has the horse had laminitis before? • has the horse recently been ill, gorged on grain, or been vaccinated? • has the horse ever been tested for Cushing’s disease or Equine Metabolic Syndrome? On what date and by whom were the tests done? • have you recently transported the horse a long distance? • has the horse’s hay or grain ration or turnout schedule changed recently or have you started to feed a new load of hay? • are any other horses on your property exhibiting similar symptoms? • was the horse shod or trimmed recently? Did you just change farriers? 2. 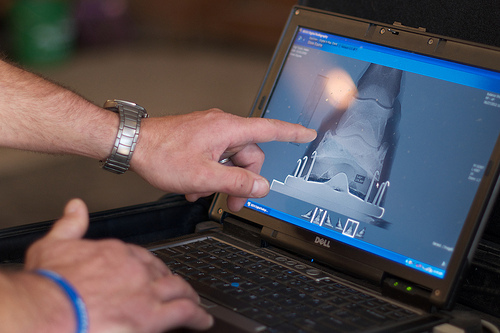 Assuming the horse has not had laminitis before, a vet will usually want to take radiographs. S/he may or may not want to remove the horse’s shoes to do this. A good set of radiographs early in the onset of laminitis will provide a baseline for comparison if any damage happens done later. Any older radiographs you may have will be helpful to the vet to see how the horse’s alignment and hoof wall thickness at an earlier date. 3. Your veterinarian may prescribe anti-inflammatory or other medications. Write down dosages and frequency so you will remember. 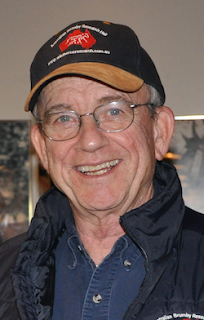 levels of ACTH, a pituitary gland hormone; high levels of ACTH are associated with Cushing’s Disease. A horse with Equine Metabolic Syndrome will have high insulin levels and normal ACTH. A horse with Cushing’s Disease will have high levels of both ACTH and insulin. Your veterinarian will tell you when to expect the test results. A normal turnaround time is three to five business days. If your veterinarian does not suggest blood hormone tests be done, request that they be taken anyway. Early radiographs and blood tests are a good investment. Knowing what to expect means that you will be prepared when the veterinarian arrives and you can concentrate on listening rather than running to get things that are needed. Be sure to have a pen and paper handy. Use them. Sometimes these situations turn out to be something other than laminitis. Sometimes the horse recovers quickly--almost spontaneously. But if the horse has shown signs consistent with laminitis, it may happen again and you need to know what is causing these symptoms, which can have gradually debilitating effects on your horse’s feet and overall health. Remove the cause and you will begin to reverse the symptoms of laminitis. When your horse shows signs of discomfort, is reluctant to walk, has heat in the feet and a bounding pastern pulse, you need to call your vet and explain that this is an emergency. Work with your vet to find the cause, remove the cause, and watch your horse carefully until he is well again. The information from your first laminitis-911 veterinary appointment is critical to successfully caring for your horse and could impact his health for years to come. It is easier to prevent laminitis than to treat it. And it is easier to treat laminitis if the veterinarian is called immediately and sees the horse to take tests and radiographs before the disease advances. The Animal Health Foundation is dedicated to fighting laminitis in all its forms and stages, and we thank you for your donation to continue the important research that needs to be done to fully understand this disease. Use the "donate" button in the column at right to send a donation via PayPal or learn more about how to donate.